25 April 2017 Update : No more stretching for children and fun boost, see Changelog at the bottom. Note: this mod needs third party objects to which apply the scripts. order to make them work as custom beverages similar to the SimCola here. It supports objects with geostates (up to three for Full, Half and Empty state) and material states. is left very generic, so you should personalise them), but creating them is pretty easy. The custom beverages will work well with my Cooler mod (updated on 8th July 2016 or a later version). I haven't tested it, but the age category checks will be ignored for beverages inside the cooler. 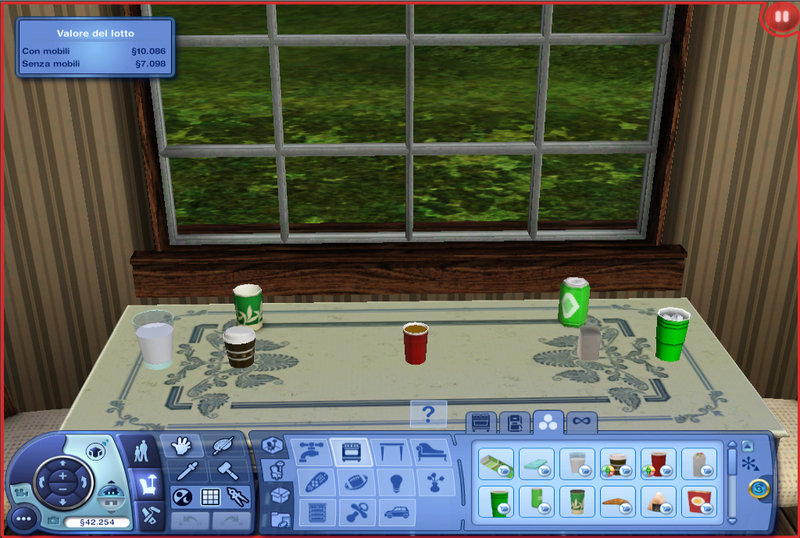 Now they will also work with the Generic Food Maker mod. Some of them increase or decrease Sims' temperature if Seasons is installed. See the xml tuning for each of them to configure them. You can keep using the SimCola for generic sugar rich beverages. It is not as customizable as these beverages but it works fine for cans. can be used with a step by step concrete example. Let's use an existing decor item: a glass of milk by BuffSumm. so if you prefer the .Sims3pack format there's no need to convert it to .package. Let's convert the object to .package format (with Lepid LLama Unpacker). Now right click on the OBJK resource and select "Edit OBJK"
to your localized version of "milk glass" or something like that. Click "Save" and commit changes. object (they are set keeping in mind the milk bottle from the related Store Item). of the related moodlet. I was lazy and uninspired, so I've left them... generic, for lack of a better word. All respective authors and contributors of the tools and tutorials for modding TS3. MTS and all modders who made the game much more enjoyable. - Fixed children stretching (but now, when sitting, they freeze for a moment after finishing the drink). 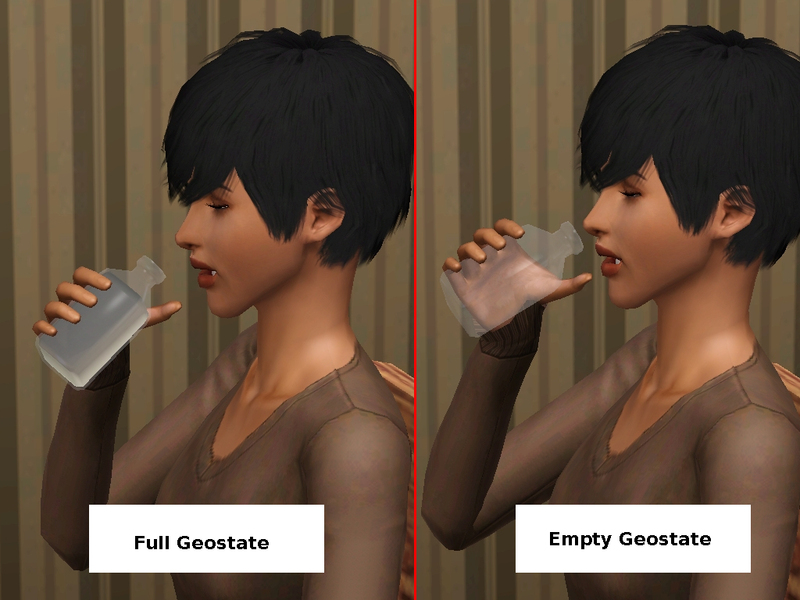 - Added fun boost, tunable for each beverage. host a party for example and you want to place beverages for the guests to pick up). 13th July 2016 Update : Now custom moodlets work with or without Awesome Mod. 12th July 2016 Update : Now children can directly drink the custom beverages. It was just a slip. missing child version of an animation. Sigh. 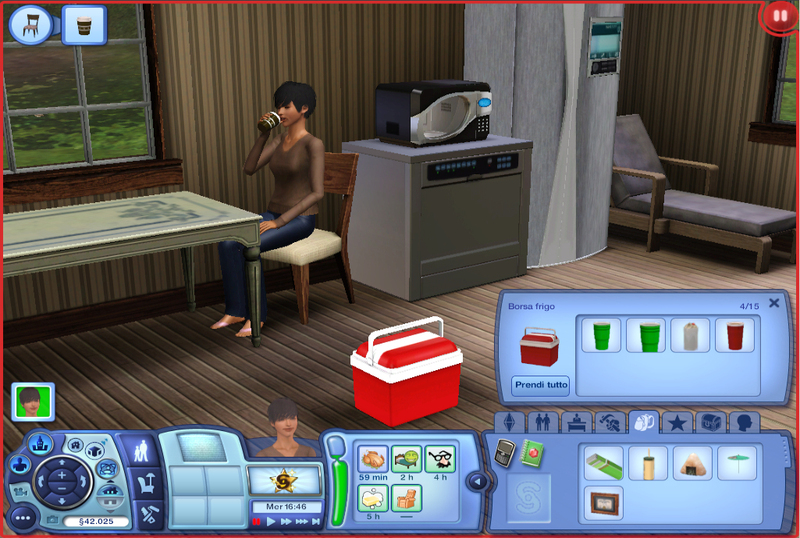 BugFix on the ITUN of the interaction to drink a beverage contained in the Sim's inventory. 11th July 2016 Update : Minor Update about Localization and predefined geostate names (thanks Naus Allien). scripts are still fair game (but if possible try to use and expand on the existing ones). Some scripts were lacking the temperature change code. Fixed. Now 3 as value for kFoodUnits (# of sips) is enough for the "half geostate" to show up (if defined), thank you Naus Allien for the report. but I'm in no condition to find it right now. New icon for the tea related moodlet, now more fitting with TS3's art style/theme. Added Spanish (ES and MX) localization by Naus Allien (I usually don't include user submitted translations, but I made an exception). the Spanish ones but I have no strength left. If it helps, I didn't even write those for my first language, that's how uninspired I am.